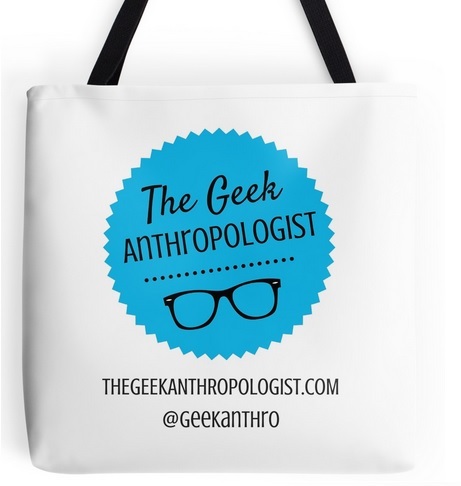 This week, we are introducing a third paper from the Geek Anthropology session which was part of the 2013 AAA annual meeting program. You may also view the first and the second videos. Once again, feel free to comment and share! This week’s paper is by The Geek Anthropologist’s own Nicholas Mizer, a PhD candidate in cultural anthropology at Texas A&M University. Abstract: drawing on de Certeau’s (1984) portrayal of consumers as nomadic tacticians operating without a circumscribed space to call their own, this paper considers geek culture as a tactical tradition of space-making that goes back to the end of the 19th century. Largely because of the internet-assisted development of “public spheres of the imagination,” (Saler 2012), this tradition has been immensely successful in the past twenty to thirty years, to the extent that Saler (2012:3) claims “we are all geeks now,” and Tocci (2009:137) has to caution readers of his ethnography on geek culture that “all the proclamations we commonly see of how we have seen ‘the revenge of the nerds’…may distract us from the fact that these terms are introduced into our vocabulary as insults.” Based on these insights, I make sense of geek’s online reflections about the state of geek culture by considering them as symptomatic of disorientation felt by geeks experiencing the new power dynamics of a post-revenge geekdom. These power dynamics, along with the massive success of the tactics that have produced them, demonstrate that de Certeau’s presentation of tactics and strategies downplays the potential for consumer-tacticians to make lasting changes on the cultural spaces in which they operate. It also suggests that although historically, the central metaphor for Internet culture has been that of the frontier, contemporary geek denizens of the internet are better described as nomads than as pioneers.